I was wondering when we would break the back! Can't go wrong with any Chevy short box, always cool. I don't have pictures of my '83 or '86 short box. What are you running for tire sizes, 255-60/275-60? I love the stance. Post #7, RShook's 1977 SWB....Awesome!!! This truck is in my TOP 5 of 73-80 SWBs - Classic - My favorites of course are Yezzi's (all of them) and Boatpuller's truck. I have to really be careful not to scrub the fronts but that's the price we pay with lowered trucks, I suppose. 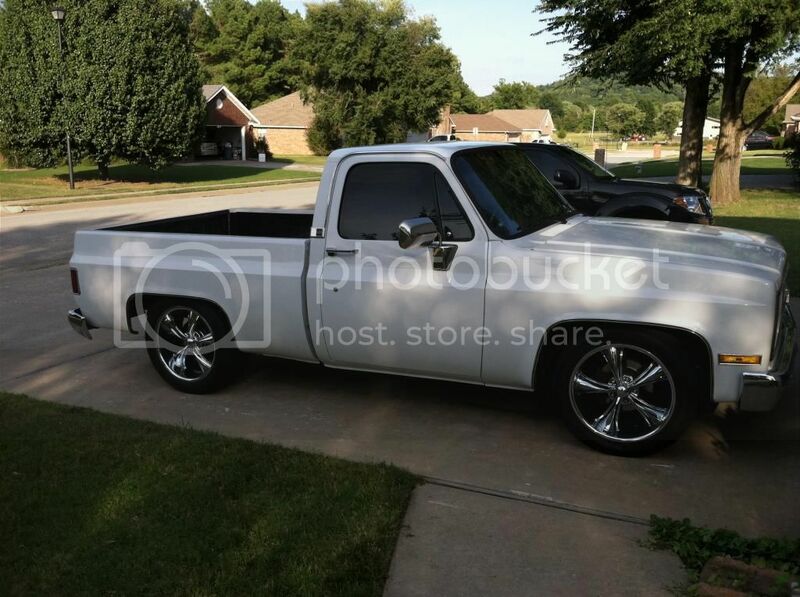 I think the best way would be 255 front and 275 or 295 on the rear. I'm running stock 8" rallies with 1.25 spacers on the rear. I have that same truck in a long bed. I sure wish it was a short bed. here she is again, 86 63K miles drives/rides like a dream!! Got her first bath yesterday. 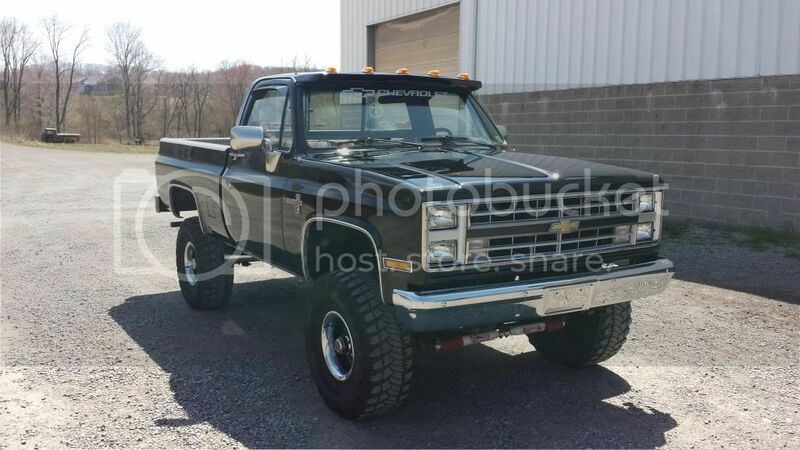 79 Silverado with 10,000 original miles. I like the 73-74 grilles/bezels more though. 1968 GMC 20 305 V6 good ole wood hauler. Keeping the 6cyl for the shop truck or V8ing it. Keeping the L6. Runs like a sewing machine.